January, 2014: Brampton, ON — This Valentine’s Day you can give local animal shelters a helping hand by supporting Global Pet Foods' 8th Annual Show Us Your Heart™ Campaign! 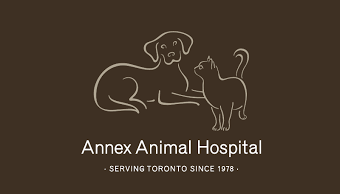 Devoted pet parent, Don Cherry, is once again teaming up with Global Pet Foods to help shine a spotlight on homeless pets through the annual fundraiser. From February 1-15, Global Pet Foods and Hill’s® Ideal Balance®, along with Mr. Cherry, are asking Canadian pet parents to donate as little as $1 to help raise funds for local animal shelters across Canada. “When you donate to Show Us Your Heart you’re supporting smaller, community-based organizations - the local shelters and groups that don't receive government funding or have their own fundraising departments,” said Jim Walker, President Global Pet Foods. “These shelters do all the work, often on their own dime and through the blood, sweat, and tears of volunteers. This is our way of giving back to them. To show your heart to homeless pets, visit any Global Pet Foods store from February 1-15 to donate. Donate as little as $1 in-store and Global Pet Foods and Hill’s® Ideal Balance® will match it. Donations can also be made online by visiting http://www.globalpetfoods.com. 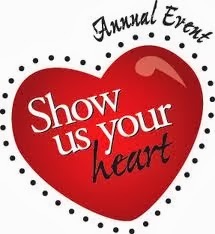 Since 2006, Show Us Your Heart has raised over $570,000 for local animal shelters across the country. For more than 35 years Global Pet Foods has actively supported local companion animal charities and local shelter organizations. Global Pet Foods is the largest Canadian-owned chain of specialty pet food and supply stores. By offering a unique and wide selection of wholesome pet food, accessories and supplies that encompasses these four elements, we help pet parents make informed decisions for the total health and well-being of their companion pets. For the latest pet news please find us on Facebook.com/globalpetfoods and follow us on Twitter@GlobalPetFoods, or visit our website at www.globalpetfoods.com.